Being a mom, I always have to think what best I can give to my child. Every day lunch boxes need to be packed with nutritious food. 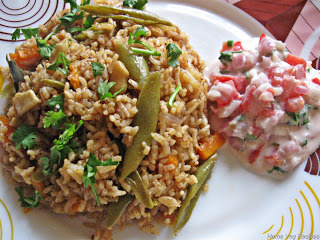 Children get attracted to garnished food more rather than simple looking dishes. But one needs to see that the colour and decoration comes from natural vegetables. So when I pack lunch, I see to both these points. 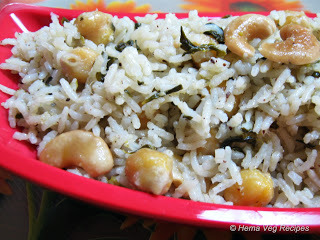 Carrot rice is one such recipe which you can make for lunch. This stays fresh for long time. 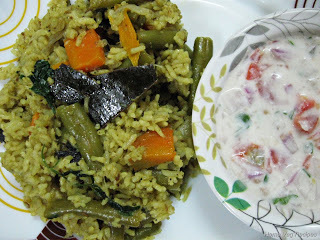 This carrot rice has the tricolour of our National Flag. Orange colour comes from the grated carrot; White colour comes from grated coconut and Green colour comes from garnished coriander leaves. Wow this looks awesome. Making time is also very less. 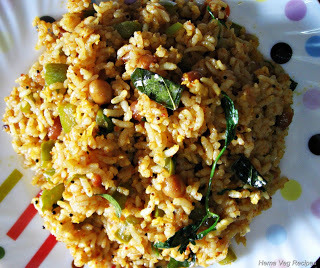 You can follow these steps to make this lovely Carrot Rice. Cook the 1 cup of Rice with 2-1/4 cup of water in a pressure cooker. Chop the Green Chillies and keep them aside. 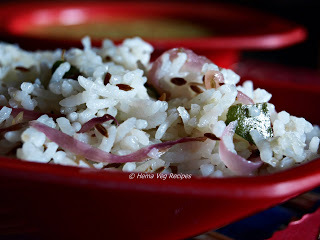 Remove cooked Rice from the pressure cooker; spread the Rice on a dinner plate and leave the Rice to become cool. In the frying pan, heat Oil. 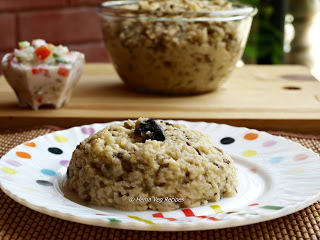 Add Mustard seeds; once the seeds splutter, add Urad dal. 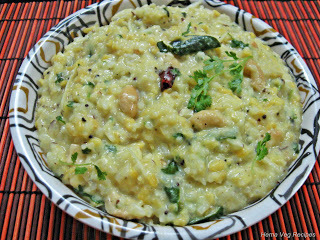 Once the dal ingredients turn golden brown, drop Curry leaves into the pan and fry for a minute more. Add chopped Green Chillies and fry them for a minute. Now add grated Carrot, Turmeric powder and fry for 4-5 min. Once the grated carrot is cooked, add Salt and mix well. Now add cooked Rice and and mix well. 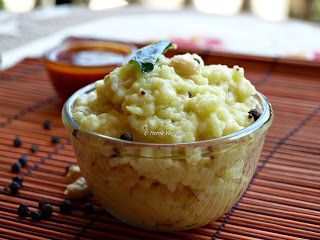 Then add Lemon/Nimbu Juice, grated Coconut and mix well. 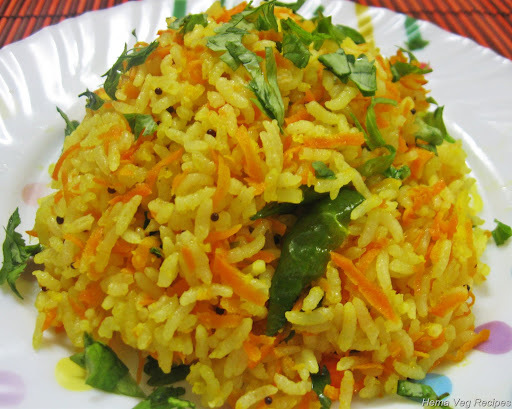 Now Carrot Rice is ready to serve.